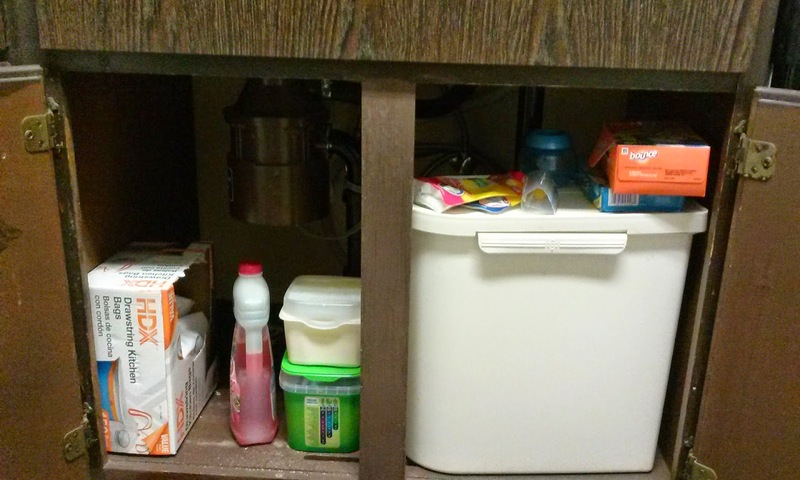 Today's declutter mission, for January 16th, 2015, is to declutter under your kitchen sink cabinet. This is another one many of you've told me you've been dreading, but you'll feel so much better when it is cleared out. And while I don't personally believe this area has to be empty, the fact that there are pipes and such items under here means you've got to be able to remove stuff from it quickly in case a plumbing emergency happens. So after you reduce the total amount of stuff there, make sure to check out my article with inspiring before and after pictures from others who've already done this mission, as well as get ideas for how you can organize the items you'd like to keep in this cabinet, after you've decluttered it.